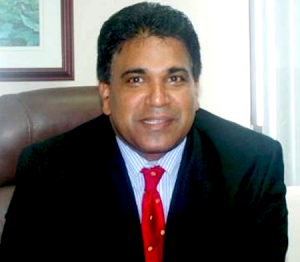 Member of Parliament for Oropouche East Dr Roodal Moonilal has slammed the Rowley Administration for what he considers its continued rampage of undermining the independent institutions of state in Trinidad and Tobago. The former Minister of Housing and Urban Development was commenting on the government’s latest attack which is against the independent Statutory Authorities Services Commission (SASC). Finance Minister Colm Imbert has announced his intention to repeal the Statutory Authorities Services Commission Act and abolish the commission. Imbert made the announcement after the Commission failed to act on a situation where allegations of conflict of interest have been made against senior officials at the National Lotteries Control Board (NLCB) which falls under its remit. Dr Moonilal pointed out that the PNM government does not have the right to disband the commission simply because it does not agree with its actions. He contends that if the government follows through on the Finance Minister’s intention, it would send a clear message that nothing is truly independent under the oppressive and dictatorial Keith Rowley Administration.